Marketing is constantly evolving, and it’s never been more important for brands, and the executives that lead them, to stay ahead of the curve when it comes to the new technologies, channels and strategies that define success. 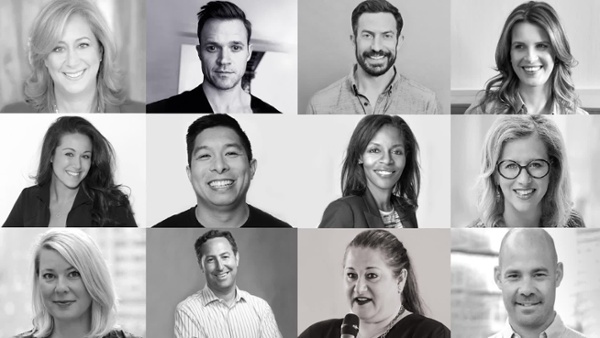 It’s for this reason that we launched the Marketing Mix Podcast, to create a community that brings together the most influential CMOs of today to discuss and explore the strategies of tomorrow. In order to help your brand successfully navigate this ever-changing landscape, we’re taking a look back at some of the major themes discussed on the Marketing Mix Podcast in 2018. Jeff Ragovin, industry expert and veteran, interviews some of the world’s leading c-level executives to discuss the challenges and opportunities of modern marketing. Their advice spans everything from content creation to AI and public relationships. Taken together, their insights can help solidify strategies that drive brand awareness, engagement and ultimately, sales. The experts have spoken. Here’s what they have to say. In a world where every brand is fighting for consumers’ attention, influencer marketing -- both macro and micro -- is a strategy that is continuing to gain momentum and investment amongst brand marketers. Influencers are a great way to create a buzz around event activations and more and more so, the content they create is being re-used beyond the influencer’s social channels. On the flip side, marketers like Charisse Ford Hughes, CMO at PANDORA (Americas), explained how working with larger scale celebrity influencers has helped her team reap huge traffic and lead generation rewards through event-based marketing. With unprecedented opportunities to connect, communicate, and access information, your brand needs to be laser-focused on creating quality content that will resonate with target audiences. Whether that means partnering with celebrities or inspiring your consumers to collaborate, influencers will empower your brand to lead the conversation -- not just be a part of it. In Jennifer’s own words, “I predict we’ll soon start to see more people spending time listening instead of watching, either because it’s more convenient or the medium just resonates more.” With millions of Americans already tuning into podcasts, the most talented marketers are finding innovative ways to incorporate audio into their strategies. Over the years, online search and digital marketing has reduced the need for traditional marketing channels. But that doesn’t mean they should be ignored entirely. The most successful marketers have one foot in the past and another in the present. For instance, Dan Kashman, CMO at Plated, says his team is experimenting with direct mail as a way of cutting through the digital noise to deliver more unique, personalized communications with new and existing consumers. Dan is not alone in his contention that we will see a resurgence of traditional marketing channels. These are just a few of the countless learnings from the Marketing Mix Podcast. This podcast is more than a series of conversations; rather, it’s answering the universal charge to use communication to understand the great changes ahead of us. To listen to these full episodes (and many more!) check out the Marketing Mix Podcast on our website or iTunes today.